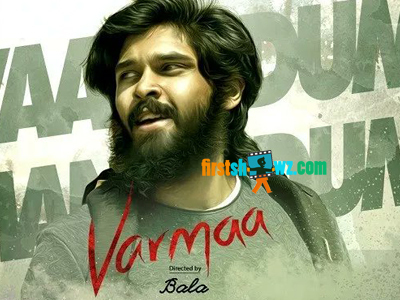 Chiyaan Vikram's son Dhruv's debut film Varmaa has recently wrapped up its shoot and the first copy of the film's output has creative differences between producers and the director. 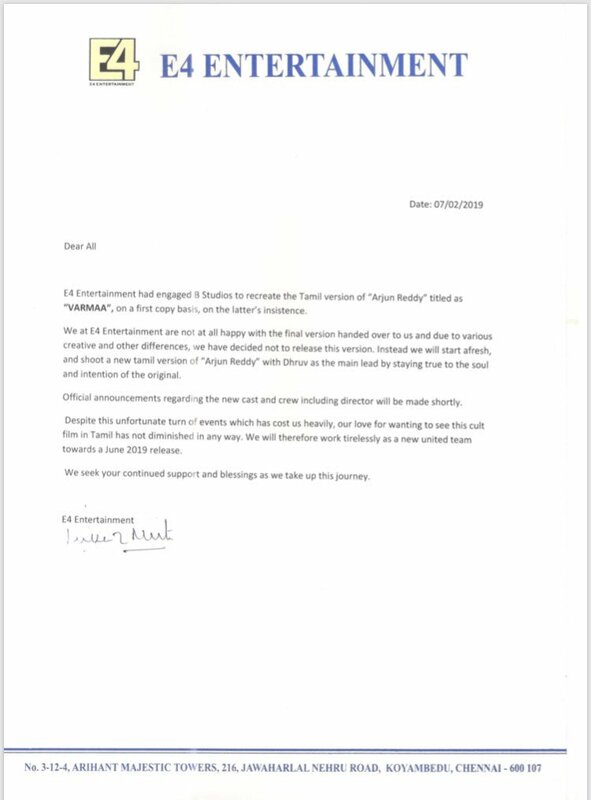 However, E4 Entertainment has released a press statement about the film's output and the made an announcement that Arjun Reddy's Tamil Remake is expected to reshoot completeley in the new version very soon with Dhruv again. Official Announcement regarding cast and crew including director will be made shortly by the makers. Varmaa is earlier directed by Bala and the now the makers will have an alternative to direct this film.